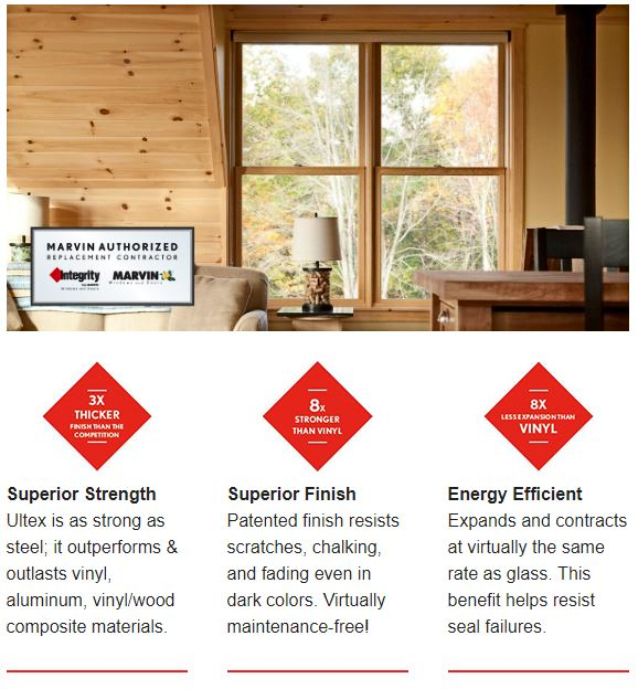 Marshall Exteriors is your local independent Marvin Authorized Replacement Contractor. We make replacing the windows in your home simple and stress-free with Quality products, knowledgeable experts & professional installation services. When it comes to window replacement, we believe it pays to know! Replace your outdated windows and doors for increased energy efficiency, increased indoor air quality, and lower utility bills! Call today for a free quote! Questions? Download our free, comprehensive Replacement Guide to learn more! Get A FREE Quote for Integrity Windows Installation!